The Blue Ribbon Commission on America’s Nuclear future was charged by President Barack Obama with recommending ways to move forward with used nuclear fuel in light of the closing of the Yucca Mountain used fuel repository project (details on NEI Notes). They released a 192-page draft in late July report that is currently open for public comment. Below I publish two responses, by Bill Hannum and Jan van Erp, that are particularly relevant to the Integral Fast Reactor — a much-discussed technology on BNC. As someone who has spent his entire professional career in peaceful nuclear power development, and who has been involved in many of the key aspects of this development, I have followed the work of the Blue Ribbon Commission (BRC) with considerable interest. The July 2011 Draft Report appears to be thoughtful and carefully prepared. While it includes useful recommendations, I believe the priorities are misplaced. The result is a report focused on managing the problem, rather than on resolving it. The first key recommendation in the report addresses the process for identifying an acceptable repository site, without focusing on why it is currently unreasonable to that expect a new, more gentile effort will be more successful than Yucca Mountain. The problem is not lack of consultation and discussion. As long as the basic criteria are based on a Linear-no-threshold (LNT) approach, applied over a period of 100,000 or 1,000,000 years, there will never be an adequate technical approach for nuclear waste disposal. As an aside, I don’t know what the population is assumed to be 100,000 years from now, but some assumption for that is implicit in the EPA criteria. Until there is agreement on more credible criteria than those applied to Yucca Mountain, it is a waste of time, money and credibility to discuss disposal. Extended storage should be assumed. Second, the report gives passing reference to “game-changing” technologies. There is one technology, the Integral Fast Reactor (IFR), which is sufficiently advanced that it is ready for a make-or-break demonstration. Not the least of the potential features of fast reactor recycle (as with IFR) is that it eliminates, essentially forever, the need for a second repository. Yet, this is among the lowest of DOE priorities. The draft report implicitly states that DOE has proven itself incompetent to manage the nuclear waste program. Your report fails to recommend that DOE, or some other agency, should realign reactor development priorities and pursue immediate game-changers that will resolve the spent-fuel dilemma. This should be a primary recommendation, not an incidental afterthought. You suggest that substantial lead times may be involved in opening one or more consolidated storage facilities. DOE sites including Yucca Mountain are available and could be used almost immediately. I agree that revenue streams already dedicated for this purpose should be sufficient to implement the recommendations, including an IFR demonstration, provided we do not waste too much time on early political haggling over a new repository site. I agree that it may be a practical necessity to establish a new agency for this task. Utilities, as the ones supplying the funding, should have a voice on the Board of Directors (taxation without representation consideration). They would provide practical management experience. They have a dog in this fight. The Commission was charged with coming up with a new strategy. The proposed approach is, except for some (useful) administrative changes, more of the same. The text acknowledges that the basic components of the strategy are correct; but have not been adequately implemented. Section 4 of the Executive Summary refers to Develop a New Permanent Geologic Disposal Facility. This wording presumes no Yucca Mountain. Having dedicated my working career to nuclear energy since 1957, both in industry and in research, it has been with profound sadness that I have witnessed the decline of theU.S.global leadership in this area. This decline started in the second half of the 1960s when the Atomic Energy Commission (AEC), later followed by ERDA and DOE, embarked on a program of micro-managing rather than providing broad policy outlines as had been the earlier practice. Among the main presumed justifications for this change was the fact that EBR-II (a first-of-a-kind project) had been built with a cost overrun of about 20% and with a delay of around two years on its original estimated schedule. Those who were considered responsible for this EBR-II “debacle”, were frozen out and their accumulated experience was lost to a large extent. From then on, abject servility was required from any organization and persons dealing with AEC/ERDA/DOE. The follow-up project, the Fast Flux Test Facility (FFTF), was finally built with a delay of over ten years and a cost overrun of about 1,000%. It never operated as intended and was shut down. It stands in theRichland,WAarea as reminder of ‘great insight’ and ‘excellent management skills’. The next major step in the decline ofU.S.nuclear leadership occurred in 1977 when President Carter declared that the U.S would thence forward forego the reprocessing of spent nuclear fuel and that the fast breeder program was to be terminated. As a follow-up, the Clinch River Breeder Reactor (CRBR) project was shut down. Shortly after President Carter’s declaration, a large international conference on nuclear fuel cycle development was held inSalzburg,Austria. The full papers had been approved several months earlier (i.e. prior to Carter’s policy change) and were available in printed form at the conference, including those prepared by a large delegation ofU.S.scientists / engineers. TheseU.S.papers explained in detail the road to be followed for developing nuclear fission technology into an inexhaustible source of energy in the service of humanity, as had been foreseen earlier by great scientists such as Enrico Fermi and Walter Zinn. As a participant in this international conference, I had the very sad experience of having to be a witness to the public humiliation of all the participatingU.S.scientists by their own government, which forbade the distribution of any of their printed papers. Furthermore, all U.S. scientists / engineers were “invited” into a meeting room (i.e., instructed to attend) where they were told in no uncertain terms not to speak in support of any programs that were not in line with the new U.S. policy. I believe it may be difficult to find another example in modern times in which an industrial nation has publicly humiliated and insulted its own leading scientists in this way. For a democratic nation to ‘throw around its weight’ at an international scientific conference and to interfere with the free exchange of information by denying its citizens the right to express their opinions, should certainly be cause for some misgivings and questioning. 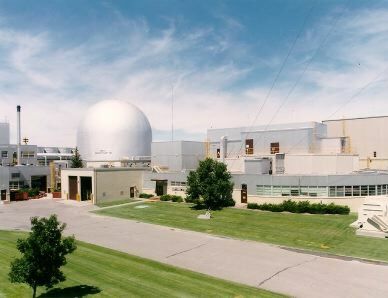 The final blow toU.S.nuclear leadership came in the 1990s when, under President Clinton, the last surviving vestiges of fast-neutron fission technology development were killed and when the EBR-II reactor, after more than 30 years of flawless operation as a test reactor, was shut down for misguided political reasons. As a consequence of this, the U.S. lost its only in-pile test-bed for fast-reactor fuel development and closed off a very successful road which had already led to burn-up levels with metallic fuel that are about five times higher than those achieved in light-water reactors. I hope you will accept my apologies for bringing up this short historical account which is not intended to cast aspersions on, or imply any culpability of, the current staff of DOE, but is solely aimed at ‘learning-from-the-past’ by recalling how a combination of misguided-policy decisions and a lack of insight, has resulted in the current dilemma. If the U.S. had not embarked on a self-destructive course of action and if it had followed the ideas of Enrico Fermi and Walter Zinn, as further detailed in numerous publications by leading U.S. and non-U.S. scientists and engineers (including, Bernard Cohen, Leonard Koch, Charles Till, Georges Vendryes from France, Wolf Haefele from Germany, etc. ), the U.S. could have found itself still among the global nuclear leaders. As it is, other nations (France,Russia,Japan,India,China) are now leading in nuclear energy development for peaceful purposes, and theU.S.will find itself more and more relegated to the position of observer, no longer capable of affecting global nuclear policies. Rather than giving detailed comments on your report, I hope you will allow me to make some suggestions as to the future road to be followed by theU.S. These suggestions are presented in bullet format for the sake of brevity. I shall be glad to elaborate on them, if so desired. restore some of the U.S. global nuclear leadership role. low probability for reactivity incidents (this could be relatively high for the aqueous version in case of fast reactor fuel with considerably higher fissile content than LWRs). It is recommended to re-start the development of pyro-electrolysis no later than 2012, including its adaptation to LWR oxide fuels. This promising technology has been proved on a laboratory scale but needs further development to upgrade it to commercial scale This program should have highest priority. It is recommended to start construction of a fast-reactor demonstration plant (e.g., PRISM, developed at GE), in view of the fact that (subsequent to the shut-down of EBR-II) no in-pile test bed is available in the U.S for fast reactor fuel development. Pyro-electrolysis is highly resistant to proliferation in that Pu-239 is not separated out in pure form at any stage of the process, but will remain mixed with other actinides, preventing its use as weapons material. Furthermore, the pyro-electrolysis and fuel-fabrication plants may be co-sited with the electricity generating plant (as suggested in the IFR concept, developed by Argonne National Laboratory), thus further enhancing proliferation resistance by obviating off-site transportation of spent fuel. Only fission products would leave the site. Pyro-electrolysis is capable of achieving a high degree of separation of the long-lived actinides, which can be ‘burned’ in the fuel. Consequently, the remaining radioactive waste (i.e., fission products) will decay to background radiation levels in about 300 to 400 years, rather than in hundreds of thousands of years. FNFT is capable of fissioning all uranium (i.e., both uranium recovered from spent fuel as well as depleted uranium left at the enrichment plants), thus able to harvest about 100 times (i.e. 10,000%) more energy from the same amount of mined uranium. Spent fuel, rather than being radioactive waste, is a valuable asset for the production of energy. The currently available spent fuel and the stored depleted uranium from enrichment plants, if used in FNFT, suffice to supply all needed energy for hundreds of years, without any additional mining being required. Additional mined uranium (if necessary from lower-grade deposits and/or from the sea) will make FNFT an inexhaustible source of energy, placing it in the same category as wind- and solar-energy, which are often referred to as ‘renewable’. Fast reactors in conjunction with reprocessing can lessen the amount of the spent fuel and drastically reduce the volume of radioactive waste, which will consist only of fission products with relatively short half-lives. Fast reactors with metal fuels offer certain valuable inherent safety-enhancing characteristics that are not present in the current generation of commercial nuclear power plants. This was shown to an international audience in the 1980s during a demonstration at EBR-II in which a number of postulated ‘accidents’ were simulated, including Loss-of-Flow without scram and Loss-of-Heatsink without scram. Aqueous reprocessing is prone to nuclear-weapons proliferation because it is capable of separating out plutonium that has the chemical purity needed for weapons. The current generation of commercial nuclear power plants (referred to as ‘thermal reactors’ of the Light-Water Reactor type – LWR) is capable of using less than 1% of mined uranium. Apart from this being extremely wasteful, it leads to large quantities of spent fuel and even larger quantities of depleted uranium. The once-through fuel cycle, as currently applied in the U.S., is not sustainable. Even if there may be adequate supplies of uranium available at economically viable price levels for the coming decades, to continue accumulating spent fuel as a legacy for future generations, is not acceptable. Furthermore, without reprocessing, a large number of spent-fuel storage facilities of the size ofYuccaMountain will have to be built. Increased global capability of uranium enrichment will be prone to nuclear-weapons proliferation, as has already been shown (Pakistan,Iran,North Korea). Such an increase will be required if the once-through fuel cycle were to be continued in conjunction with a world-wide increase of nuclear energy use. However, once FNFT is available, no further extension of enrichment capability would be necessary. It is ironic that President Carter’s intention of preventing the proliferation of nuclear weapons by limiting nuclear energy generation to the once-through fuel cycle, may actually have resulted in enhancing the likelihood of proliferation by requiring increased global enrichment capability. World population growth, together with the need to reduce CO2 emissions and the fact that fossil fuels are a limited resource to be left for future generations, will inevitably require an increased global use of nuclear energy. It is important that the U.S. will again become an active and technically competent participant in steering this development on the right course. A technically incompetentU.S. will undoubtedly be relegated to the role of passive observer. The Global Nuclear Energy Partnership (GNEP) initiative should be re-started. Just in time for a lunch time read, thanks Barry. I find the US approach to IFR quite baffling, as expressed here and the recent critique of MIT. Could there really be such a culture of ignorance and inertia that they simply don’t want to know? Is it more conspiratorial than that, being pressure from the political and industrial sphere? It just doesn’t seem to make sense that an organisation could go through a process they have, examining the fate of HLW, and give only fleeting attention to the technology that eats the damn stuff and gives energy in return! People everywhere need to understand at least the basics of Gen IV so that this kind of shenanigan cannot be easily repeated. We (being all who know about it) have to keep taking the opportunities to get the message out… like a certain 2 1/2 minute video does with such creativity. all the participatingU.S.scientists by their own government, which forbade the distribution of any of their printed papers. Furthermore, all U.S. scientists / engineers were “invited” into a meeting room (i.e., instructed to attend) where they were told in no uncertain terms not to speak in support of any programs that were not in line with the new U.S. policy. Similar directives are given today by governments in USA, EU, Australia to bureaucrats, scientists, and many others, including those who depend on government contracts or funding. WHERE is it currently open for public comment? URL required. Roger that. Retired. WHERE is it currently open for public comment? URL required. YES! The coal industry has a $100 Billion annual cash flow in the US alone. A lot of people have been killed for a lot less. Even Worse: Don’t tell anybody! : COAL CONTAINS URANIUM!!!! And don’t breathe a word about NATURAL BACKGROUND RADIATION or the fact that we date ancient mummies with the RADIOACTIVE CARBON they ate thousands of years ago. How could BNC possibly write the above article and not give us the ~! @#$%^&*()_+ URL for making on line comments??????? The blue ribbon commission is correct that existing storage methods for nuclear waste work fine, and there is no rational sense in scuttling quickly to a new geological repository. However, the problem is not that we can’t contain the radiotoxic wastes for 100,000 years. The Oklo reactors have proven that this is easy even under suboptimal circumstances and without any engineering effort. As a matter of fact, Yucca Mountain actually was going to meet the ludicrous criteria based on silly theories such as LNT and even more silly notions of ‘collective doses’ that are completely theoretical constructs. So Yucca Mountain was up to the job. It was politics as usual that killed the project, in a typical swaying stabbing and delaying manner. The problem is with the fossil fuel waste which cannot be contained for the next ten seconds, spread into the environment by design. No LNT or even sillier notions of ‘collective dose’ are used for any chemical pollutant, most of which come from fossil fuels by the way. Society is not risk-averse. It is risk-delusional. I disagree with the blue ribbon commission on spending more money at all in new geological repositories. We need to stop pretending we can engineer ourselves out of an educational and political problem. We need to realise that this is going to make it worse, because we play by the rules of those that have the advent over us. Most people I know do not understand anything about nuclear reactors. But they’ve heard that deep burial in highly engineered repositories is necessary so they think it must be dangerous. The scientists that are working on geological repositories aren’t helping. They would be better off educating the public. We have a lot of waste problems, but this has nothing to do with ionizing radiation. posted 8 September 2011 at 9:59 PM by Cyril R.
This is important for the future of humanity. Thanks Barry and Bill and Jan for the information. I wlll link to this web page for future reference on my home web page http://egpreston.com/energy.htm under the nuclear topic heading. Thx for the article and comments. It’s always nice to learn something. So let’s see what did I learn. The blue ribbon commission thinks we should start all over again and start work on a new Yucca mtn type of site??? Totally amazing. It makes no sense. I’ve been a Hanford downwinder for just over 41 years now and have attempted to follow the Hanford cleanup effort (and knew some of the engineers involved in the effort, now retired). I assure you that the radioactive mixtures created at Hanford require very long term sequestration, quite unlike the relatively harmless and easily managed once-thru rods used in the electric power generation fleet. The latter clearly requires medium to long term management until reprocessed into beneficial nuclear consumables. The Blue Ribbon Commission draft report does distinguish the two sources of radioactive mixtures, but probably does not sufficiently emphasize the differences. I had to look it up. I thought downwinder was an Australian term. One. There is a strong contradiction between the extreme level of worrying about a bit of radiation thousands of years later, and the complete lack of worrying about warming effects in the same time scale. If we get four degrees a century for only a thousand years, that’s 40 degrees warming, and no one will be left to care about radioactive waste. This is also in part true for those knowing and caring about climate issues. Many of them focus on rather short term effects, like a couple of decades, or this century only. This in contrast with the long time frame everybody takes when discussing nuclear waste. Two. In Germany, also in the late eighties the only fast breeder (at Kalkar) was killed for political reasons. It was already completely built, but never went online after Chernobyl. That was the first big victory for the anti-nuclear fossil greens in Germany, and their next one came in 2002 with the decision to phase out nuclear power completely, finalized this year. Can someone review how IFR SNF is reprocessed on site? Also, what are the salient differences between the kind of breeder reactors being built and running in Russia and China and the IFR? Well, the public might be better off, but they wouldn’t, considering who is paying their salaries. The main problem with Yucca, I believe was the way the project was begun. Chosen by the national government with no consultation, many people in Nevada felt they were just being used as as dumping ground for the rest of the countries ****. This was simply continuing the policy of using their state like a radioactive wasteland, i.e. nuclear weapons testing. So, now there are enough people in the state that feel that way that naturally (and not evilly) the representing politicians oppose it. With the right preparation I think sites can be found where the local population will view it as a source of income. Let’s assume that the fuel cycle that Barry is proposing via IFR happens. What processes are involved making IFR fuel out of spent nuclear waste?? so it means just forget it…… there WILL NOT be a site!! The US federal government doesn’t have the money anyway!! The radical disconnects in the ‘logic’ of the mainstream media, politicians, and worse yet ‘environmentalists’ regarding time-scales, global change, social and economic impact of nuclear issues and climate change are quite disconcerting – there’s so much confusion sown that it is almost impossible to engage in meaningful discussion with most otherwise intelligent people about the inter-dependence of the issues. It is quite clear that even the blue-ribbon panel didn’t grasp the simple point that the so-called nuclear waste can power the continent for centuries or perhaps millennia, increase national security through reduced fossil fuel use, address much of the CO2 issue, massively reduce environmental damage from coal, technology leadership, off-shore sales potential, spreading these benefits to developing nations, etc., to say nothing of the economic benefits throughout the USA. It is rare indeed to have so much potential in one choice. Rarer still for the ‘experts’ to ignore it completely. Jess, on 10 September 2011 at 12:32 PM — The Blue Ribbon Committee certainly addressed the potential of fast reactors in chapter 10.to the extent that fast reactors would change what to do with the so-called waste; only the so-called waste was within their charge. There’s information on the IFR fuel cycle and comparisons of reprocessing techniques in this 2005 Scientific American article: http://www.nationalcenter.org/NuclearFastReactorsSA1205.pdf. Too bad Jan B. van Erp’s letter doesn’t have its own post– I would like to send people a link to that one directly. There are many issues. The Russians didn’t view Yucca as anything more then a storage vault and didn’t except that burying weapons grade plutonium at Yucca was a ‘verifiable plutonium stockpile reduction method’. So a good chunk of the ‘military’ justification for Yucca went away. On the civilian side the bulk of the waste is ‘once through’, at some point it will have recycling value. So a big part of the civilian justification goes away until after we get some sort of recycling program up and running. The ‘furor’ over Yucca not opening is mostly based on the fact that the utilities are being asked to pay a nuclear fuel disposal fee and buy dry casks for medium term on site storage. per your link it says that civilian nuclear fuel reprocessing was made illegal in the US. So does that mean the government can do it and if so is the US government doing any fuel reprocessing at this time?? It is dated June2, 2011. I thought fuel reprocessing facilities were illegal. If I recall correctly, the ban on fuel reprocessing was implemented by the Carter administration but reversed by the Reagan administration. In spite of the reversal, no scheme to reprocess fuel has been seriously proposed for the US since then, as far as I’m aware. Areva is discussing building a reprocessing facility in the US. it doesn’t say what process they would use though. The utilities have been paying ‘their share’ for the cost of the Yucca Mountain Project…as of 2005 $12 billion has been spent on Yucca Mountain. GeorgeS: Spent fuel is mostly uranium. [Depleted uranium is NOT spent fuel.] Spent fuel has either too low or too high a percentage of fissionables for the subject reactor. To recycle, you adjust the percentage of fissionables. It is desirable to remove fission fragments such as Sr90 and Cs137 because fission fragments are radioactive with dangerous half lives but not good fuel. Site: What about the military repository in New Mexico? What about Johnson Island? Spent fuel is indeed treasure. That is why a quantity of spent fuel that NUMEC Inc. was supposed to recycle circa 1977 found its way to Israel. Israel recycled the spent fuel and put it in a short cycle reactor to make plutonium239. You guessed it: To make nuclear weapons. France still recycles spent fuel. Why are these responses addressed to Gentlemen? Is this typical etiquette for this sort of letter? The women on the commission partially responsible for this report might like to be addressed as Commissioners rather than Gentlemen. Anyway, I appreciated these insights otherwise. I read that and cringed too. Patriarchal communication such as this potentially means cutting off half the people you are supposed to be convincing. It’s also just plain disrespectful – even if unintentional. But yes, other than that, I broadly appreciate the content of the submissions.